OUR DOGS ARE THE ULTIMATE PIT BULL WITH MASS AND MUSCLE. XXL PIT BULL PUPPIES FOR SALE. THEY ARE BRED FOR EXTREME MUSCULARITY, GREAT TEMPERAMENT AND GENTLE PERSONALITIES. ALL OF OUR PIT BULLS ARE SO AWESOME LOOKING THAT WE ARE CONSTANTLY STOPPED EVERYWHERE WE GO. WE STRIVE TO BE THE BEST BULLY STYLE BLUE PIT BULL KENNEL WE HAVE THE MOST AWESOME BLUE PIT BULL PUPPIES FOR SALE. HUGE BLOCKY HEADS, SHORT MUZZLES. WE DO NOT TOLERATE BAD BEHAVIOR. 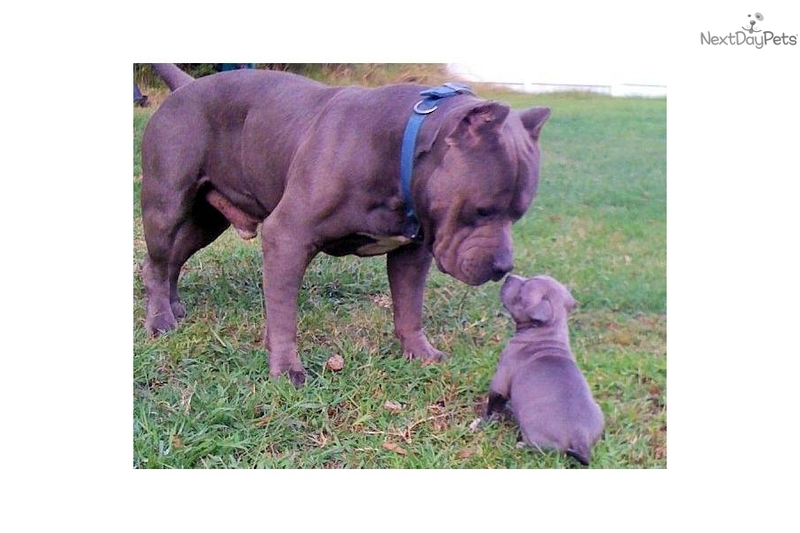 THE AMERICAN PIT BULL TERRIER IS KNOWN FOR THEIR LOYALTY AND LOVE OF FAMILY AND FRIENDS. THEIR STRUCTURE IS BUILT FOR HEAVY SUBSTANCE. WE BREED FOR MUSCLE AND STRUCTURE ALONG WITH CREATING THE PERFECT BLOODLINE. WE DO NOT BREED FOR COLOR, BUT HAVE MANY COMBINATIONS OF BLUE, WHITE, BLUE FAWN AND BRINDLE. WE PRIDE OURSELVES OF OUR HONESTY AND INTEGRITY TO OUR CLIENTS.THE BLOOD LINE WE BREED IS PRIMARILY RAZORS EDGE AND GOTTI.WE ARE NOT ONE OF THOSE BACKYARD BREEDER. 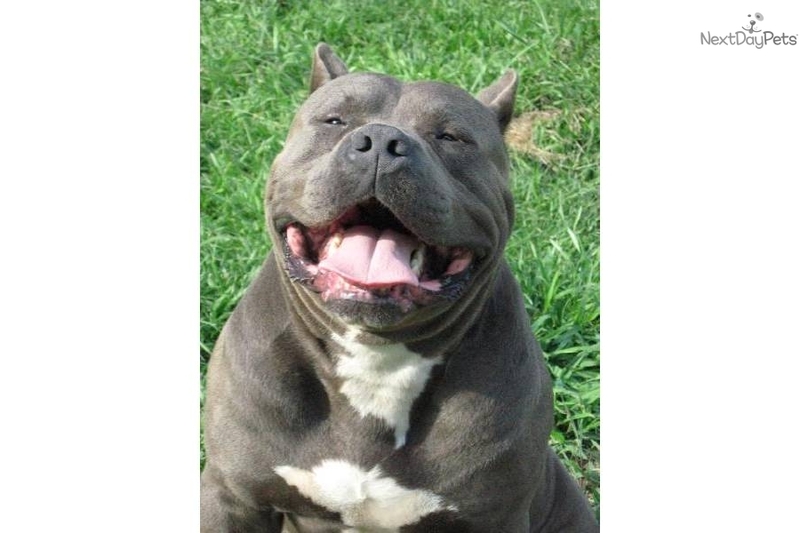 WE ARE A LEGAL AND FULL TIME AMERICAN PIT BULL KENNEL.ALL OUR DOGS ARE INSURED. ALL OF OUR PITS COME FROM TOP QUALITY BLOOD LINES AND ARE SHOW QUALITY. 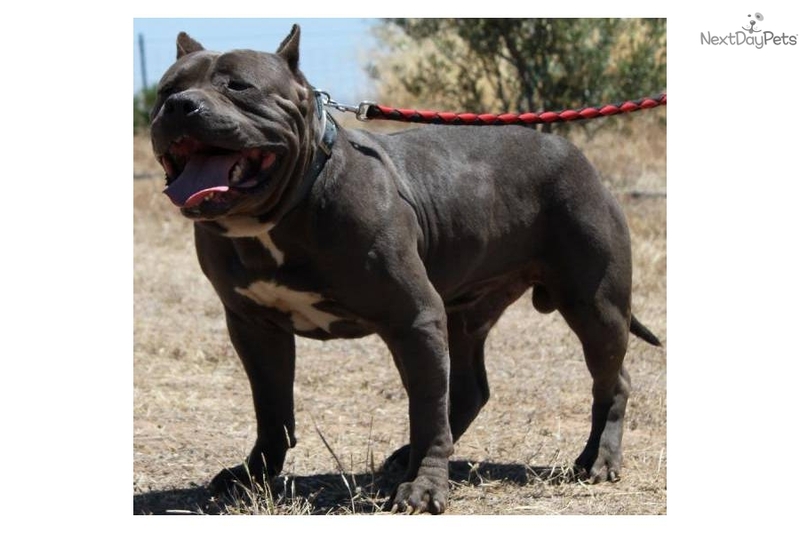 MUSCLE DOG KENNELS ARE PROUD TO OFFER THE XXL BLUE NOSE PITBULL BLOOD LINES AROUND. OUR BLUE PIT BULL BULLIES HAVE FREAKISHLY HUGE HEADS AND ARE ALL ABOUT MUSCLE. Gotty line female. 1 years old and UKC registered. Ears are cropped. She is not fixed. . Parents are on my website at www.muscledogkennels.com....Gotty line female. 1 years old and UKC registered. Ears are cropped. She is not fixed.. Parents are on my website at www.muscledogkennels.com....Gotty line female. 1 years old and UKC registered. THIS XXL BULLY FEMALE IS 4 MONTHS OLD AND ALREADY 45 POUNDS. SHE IS UKC AND PURPLE RIBBON REGISTERED.